In todays fast-paced world and lifestyle, snacking has become an integral part of the daily diet. 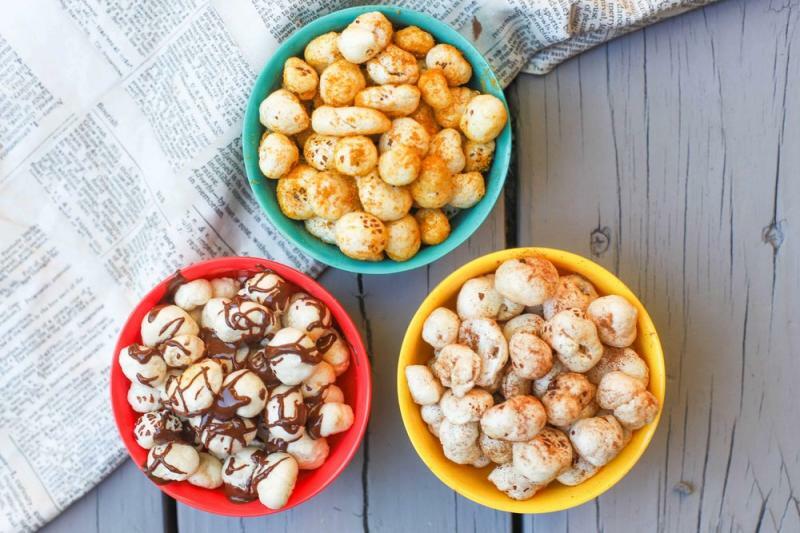 But most snacks consumed today skew toward prepackaged and processed foods, that only add calories, but very little of anything else hence it is important to provide healthy yet tasty alternatives that is changing the quick snack culture in India. 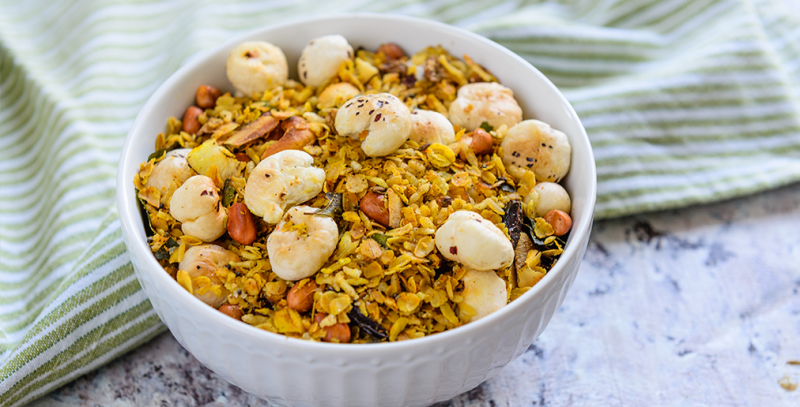 Makhana is easy on the body and provides a wholesome alternative to unhealthy binging. They also known as a great guilt-free snack around the world. 1. With properties such as low in cholesterol, fat and sodium, they make for an ideal snack to satiate those in-between meal hunger pangs. 2. High in fiber and low in calories, this can help you loss weight. 3. A whole snack which is a good source of fibre, protein, carbohydrates, magnesium, potassium, phosphorus, iron and zinc. 4. They are beneficial to those suffering from high blood pressure, heart diseases and obesity due to their high magnesium and low sodium content. 5. Besides all this, makhana acts as an anti-oxidant, very light and good for digestion. 6. For the older audience, it is the perfect choice as an anti-ageing enzyme in these seeds are said to help repair damaged proteins. You can simply much in the raw makhanas but if you want to spice it up, it can be roasted in Olive oil. The roasted or spiced makhana adds a mild flavour which makes them a perfect everyday snack for all age groups. 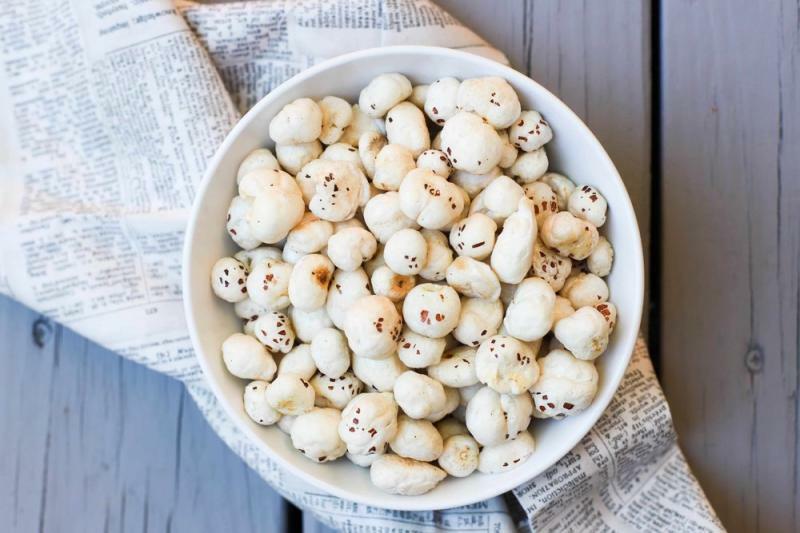 The aware and health conscious Indian audience has now definitely started using Makhanas as a substitute to Popcorn evening or late night snacking. With the idea of catering to all Indian taste buds and all sections of the society, manufacturers are now introducing interesting flavors which are adaptable to the Indian palettes.